People sell thousands of management books with the promise of showing you how to create great ideas. Some companies or departments seem to churn out great ideas at an amazing rate, while others wouldn’t know a great idea if it was naked standing in front of them. No book can tell you how to create ideas but there’s an easy tip to creating environments where great ideas flourish. In fact, we can learn a lot from a simple children’s fairytale written by the great Danish author Hans Christian Andersen. 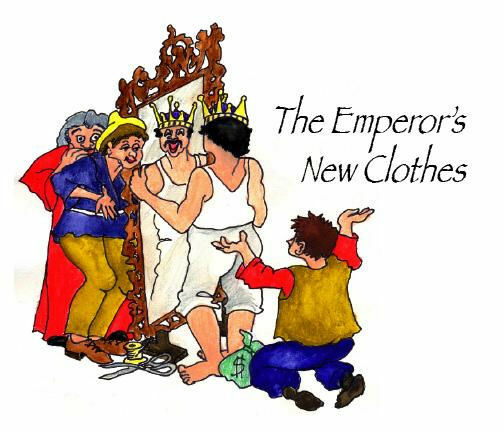 In 1839 H.C. Andersen published The Emperor’s New Clothes. It was originally going to be a simple morality story which taught a lesson about vanity. If you’re not familiar with it, do a quick internet search. (I’ll wait.) At the last minute the author decided to change the ending. Instead of everyone just seeing the king naked and admiring the invisible clothes, Andersen added a small child who reveals the emperor’s nakedness. This changed the moral of the story significantly. There was still a lesson about vanity but now we all have an invaluable lesson about “speaking truth to power.” That little boy also holds the secret to a truly creative workplace. Many of us identify with that little boy. When we see things that are wrong, we feel compelled to speak up. However, most organizations don’t encourage or even tolerate that Andersen’s child in us. They don’t want us to expose their weaknesses or they don’t want to be challenged. Maybe they know things are wrong but they really don’t want employees or customers throwing it in their faces. Since these organizations don’t welcome feedback they are often exposed (both liability-wise and otherwise.) They don’t correct problems that are obvious to others. Another, less obvious problem caused by squelching or ignoring feedback is that it also hinders creativity. Great organizations encourage the free flow of ideas. In this environment anyone can raise an idea to improve things. Those ideas don’t always see the light of day because everyone in the organization is able to (and even required to) check the idea against reality. If the idea’s not going to work, every person in the organization must shout it out. Every member of the best organizations is obligated to be Andersen’s little boy. Because of that, everyone is encouraged to come up with great ideas without worrying about going out into the world with no clothes. Try it in your organization. Next time someone points out a reason why an idea won’t work, instead of being frustrated with their negativity, try thanking him/her but keep thinking up ideas. Some of them will be great.